The museum conceit was sparked by an email I received with an excellent phrase—お手すきの際で構いません—and the other examples popped into my head as I started to write. 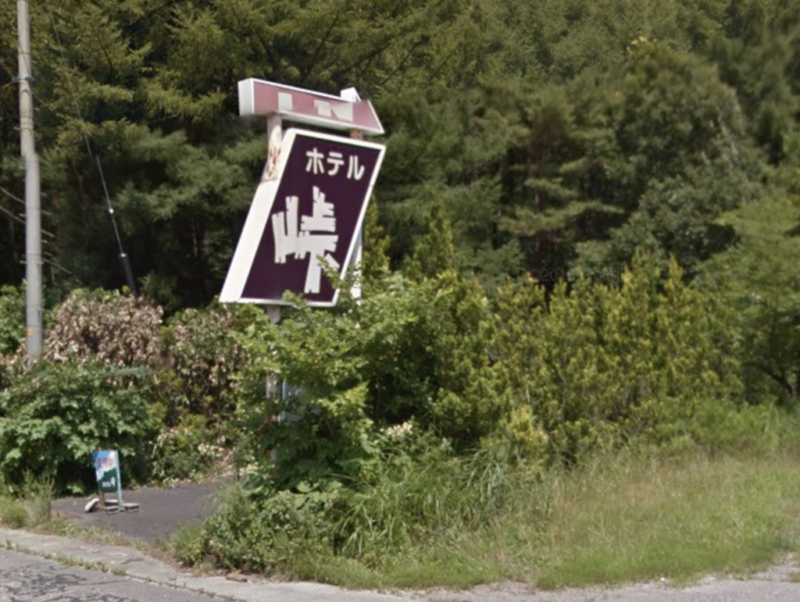 It’s even on a registry of 廃墟 (haikyo, abandoned buildings). The haikyo registry makes me think, さすが日本. You can find a complete list of 国字 here and detailed listings of 和製漢字 (waseikanji, Japanese invented kanji) here. Pretty interesting details, although at times difficult to read since many of the entries are long lists of reference material where the kanji came from. 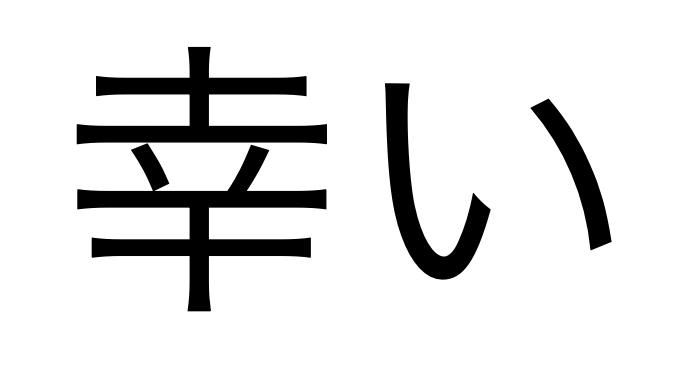 And I’d totally forgotten about 幽霊漢字 (yūrei kanji, ghost kanji) until re-reading that blog post. There’s a really great write-up about what happened over at Dampfkraft. Short and worth a read! Language, indeed, finds a way. I’m back in Chicago after the holidays, the temps have dropped again, and there’s a dusting of snow on the ground, but I’m on the inside looking out, sipping on a hot mug of honey ginger lemon, so no complaints. I’m done with work for the year! A Japanese friend’s Facebook post reminded me of the excellent Japanese word 仕事納め (shigoto-osame)—finishing up work for the year. It makes sense that Japan — where New Year’s is absolutely the dominant national holiday — has a word that means wrapping up for the year. 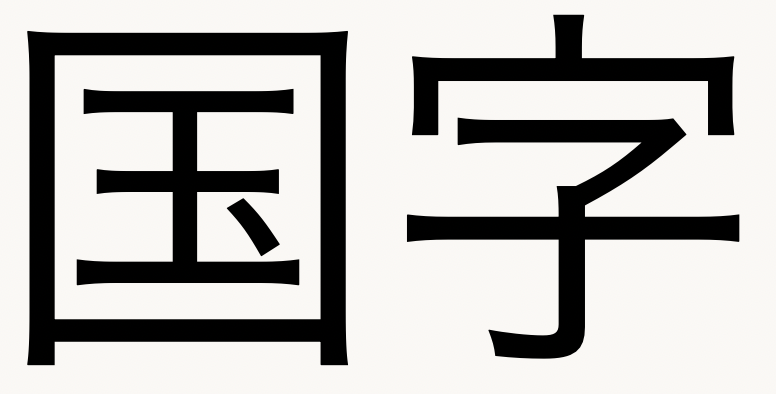 Nothing too crazy going on here – just 仕事 (work) plus a nominalized form of the verb 納める (to complete). 納める is one of those verbs that can have a ton of different meaning depending on context. In fact, the Japanese dictionary provides nine independent usages. Dictionary posts like this are complicated but really helpful if you’re trying to get a true sense of meaning. 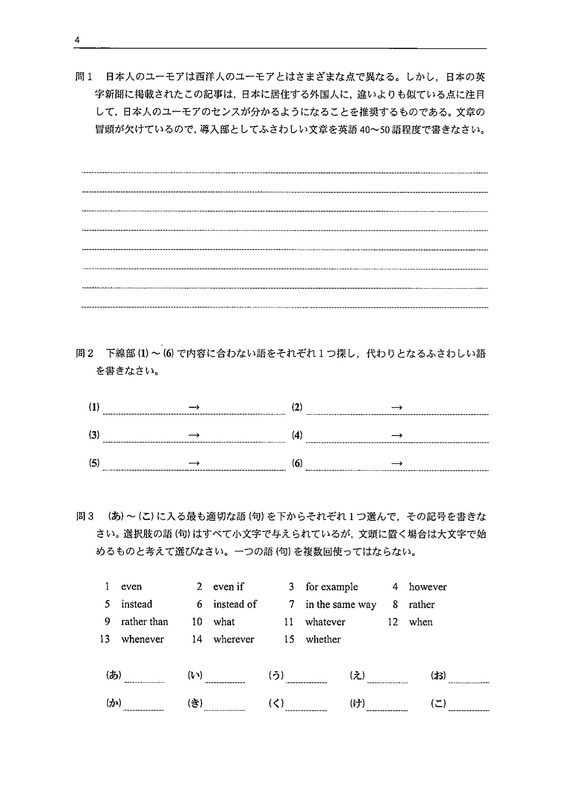 The dictionary post for 仕事納め is much simpler and good reading practice for beginners. Update: Check out the 仕事納め hashtag on Instagram for a nice contextual definition of the word and a cool glimpse of how Japan is wrapping up the year. There are lots of fun variations on this. Detective Serial Killer’s Invented Aesthetic. The Invented Aesthetic of the Serial Killer Detective. 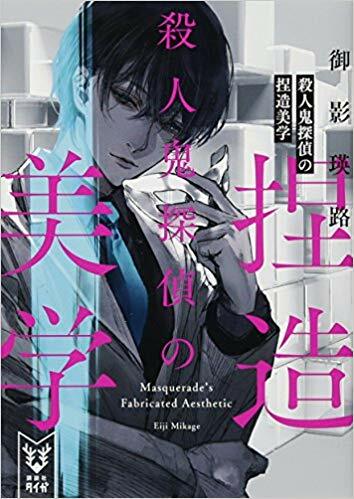 The Japanese cover also has the suggested translation “Masquerade’s Fabricated Aesthetic.” Of these variations I think “Masquerade’s Invented Aesthetic” might be closest to what Mikage was going for. Clearly we went in a different direction with the English title. I’m really happy that Vertical took one of my suggestions. The title is drawn from the text and I think creates forward momentum for the reader. I had a few other options, but I think I’ll wait to share them when the book is published. This reminds me that I recently learned the Spanish translation for Murakami’s Norwegian Wood is Tokio Blues. 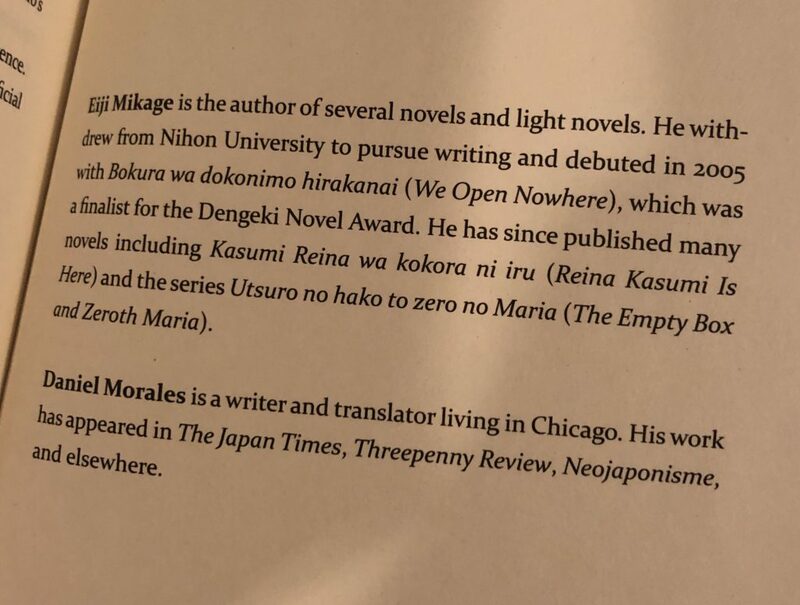 I was having a conversation with a Venezuelan and briefly thought there was some Murakami book I wasn’t familiar with until she described the opening: a Japanese man lands in Germany and “Norwegian Wood” is playing over the airplane speakers as the passengers disembark. 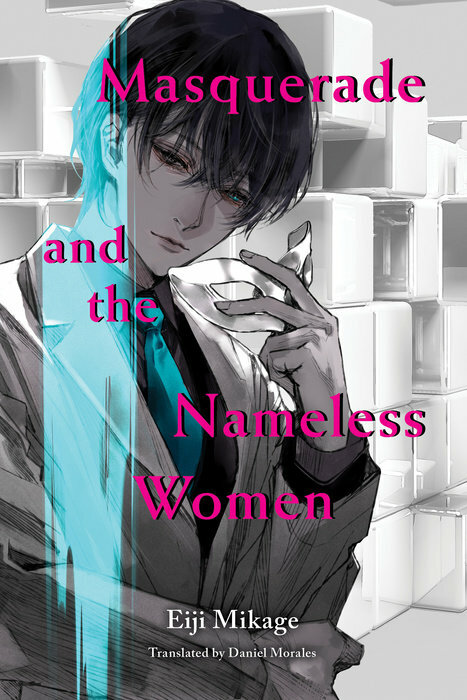 I think this title translation borders on criminal. “Norwegian Wood” is so effective as a title because (assuming the reader is familiar with the Beatles, which isn’t a huge assumption to be making) the song title itself is incredibly potent and generative. 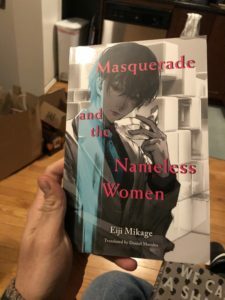 You have the sound of the song, of course, but also whatever memories and experiences you have wrapped up with the song, which is exactly how the novel begins—Toru’s near physical pain at everything he associates with the song. The translation demolishes that and replaces it with an incredibly simple summary of the book…although I will admit that it does summarize the book somewhat effectively, lol. Are the Beatles just not as popular in Spanish-speaking countries? I find that difficult to imagine. I’d chalk this up to an overeager translator/publisher. A quick Wikipedia perusal shows that most translations leave the song title, but French and German also commit crimes. The French title is La Ballade de l’impossible (The Ballad of the Impossible), which is garbage, and the German is Naokos Lächeln (Naoko’s Smile), which is better—likely drawn from the text, kind of hints at how the narrator is feeling—but still #NotGreatBob. I hope that my title translation hasn’t done this much damage. Obviously it’s done some, at least when it comes to authorial intentions. But I do think the English will benefit from this new title. We’ll see. 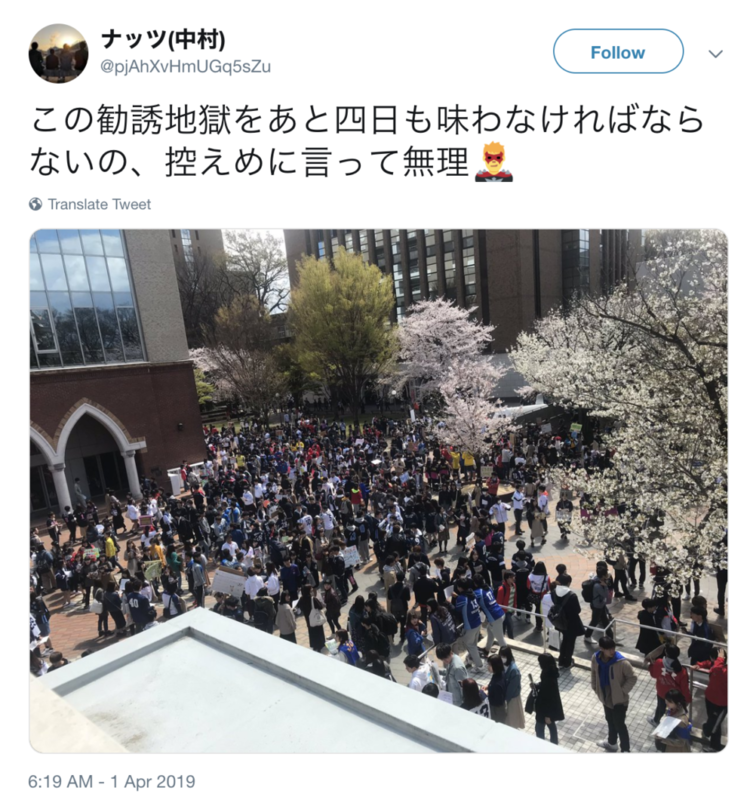 So Keio University used one of my Japan Times articles on their entrance exam this year. That’s a thing that happened. I wrote a little about it (and writing as a side hustle) over on my personal site. They used “Japanese humor: more universally funny than you think,” one of my earliest for the JT. 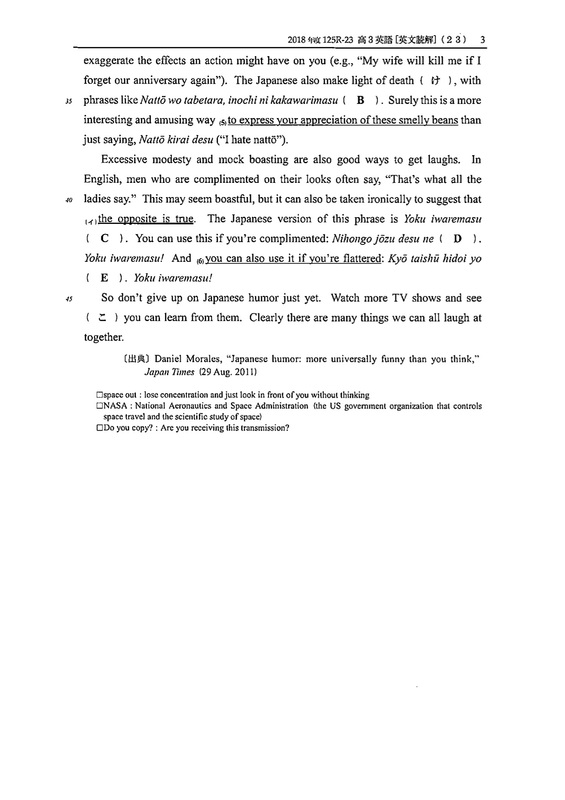 I’ve written 50 articles for the Bilingual page now, and this was my seventh, so the style feels a bit awkward at times, the word choice clunky, and the Japanese examples kind of sparse, but there are still some good points. They did some pretty significant editing and rewriting for the test, which makes sense. The target audience here isn’t native speakers. To be honest, they could have changed more, but their edits make it somewhat more readable by giving each joke a clean introduction. Hopefully that made it less trying for the applicants (to the medical school, which is shown at the bottom of the final page). 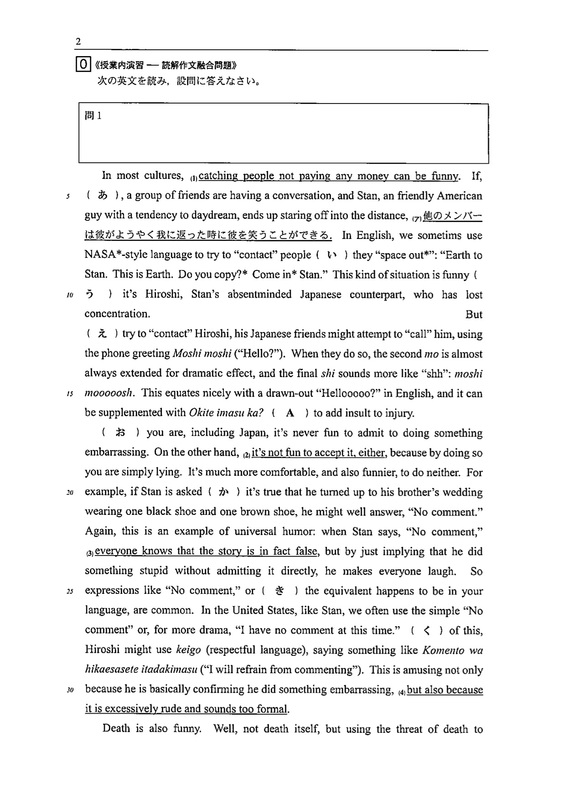 The questions are interesting: 1) write an introductory paragraph in English, 2) replace the word in the underlined phrases that doesn’t make sense with a word that does make sense, 3) place the appropriate conjunctions in the blank spots in the text, 4) translate the underlined Japanese sentence into English, 5) translate the marked Japanese phrases into English, and 6) translate “the opposite is true” into Japanese. That’s an awful lot of work to do for a single reading comprehension passage. I wonder how much time they had to get through it? 20 minutes? 30 minutes? Probably less. 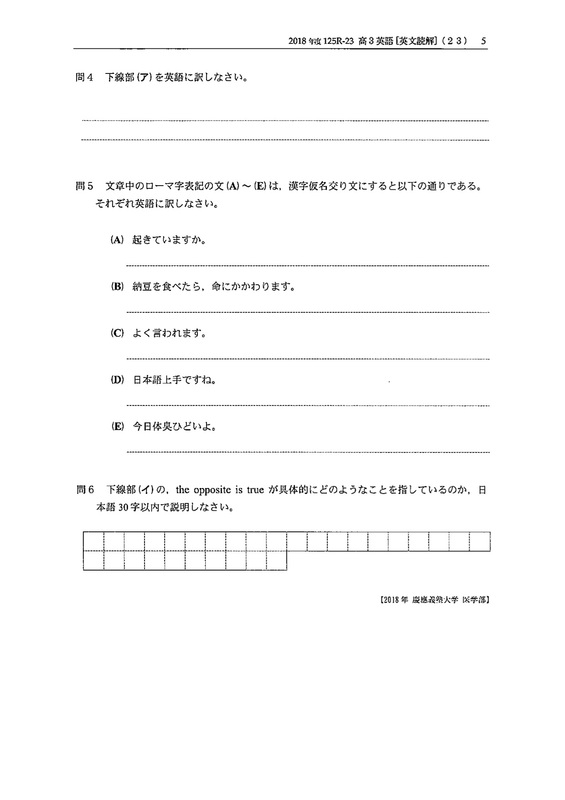 It’s very interesting to learn that Keio did not have to ask the JT permission to use the text on the exam and that in the past they weren’t even citing the author or publication (“Entrance exams breaking copyright law? Academically unethical?”). I wonder how the writer discovered that texts were being used. I suspect that they were being reprinted in books of past exams which get used as study guides. That’s how I learned my article was used—the publisher notified the JT and was required to pay them usage rights and me author fees. Actually, I’m not certain if it’s required, but they seemed willing to pay the rates. I wonder how many other JT authors this has happened too. Any readers know of this happening? 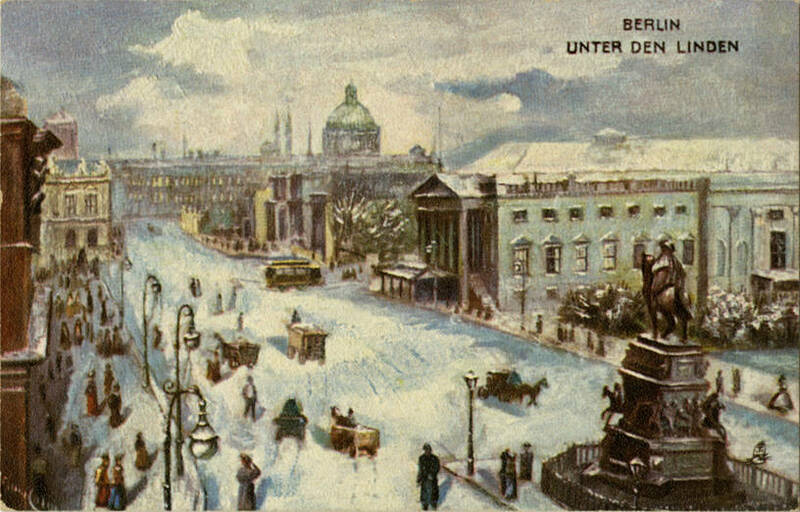 One winter we were living in a big, old apartment on Kaiserdamm in Berlin. Outside the snow was falling in waves. Inside, our heater had a large chimney that went through the ceiling, and we kept filling it with firewood. 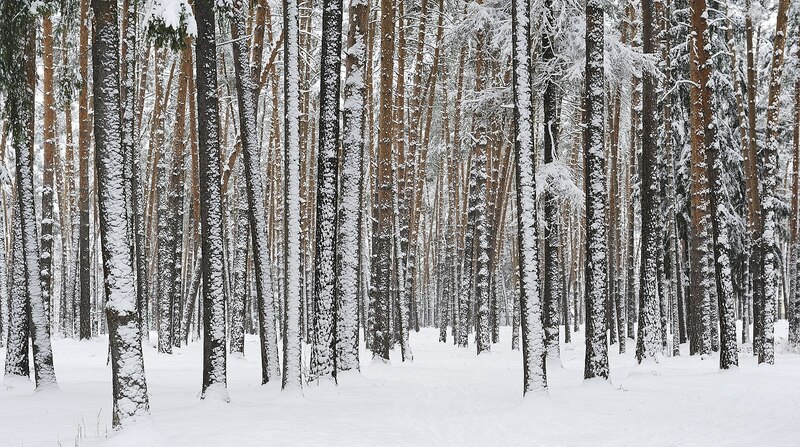 There were only rumbles from the trains and the honk of car horns; not even the dogs were barking in the midday quiet elicited by the snowfall. There was a loud knock at the door. “Who could this be with all the snow?” I thought as I opened the door. A group of three workers trundled in, made up of a young man, a middle-aged man, and an old man. They were all quite friendly looking. I hadn’t expected them, so I was taken aback for a moment, but I quickly came to my senses and showed them inside. I came to like the workers in Berlin soon after arriving there (I got to Berlin at the start of summer). Most of them were cheerful and had a true naïveté. I don’t know how many times I saw workers packed into the back of a truck smile and wave at us foreigners as they passed by. These lovely people had willingly taken on a working life, so whenever presented with the opportunity, we treated them with kindness and never for a moment behaved with the caution typical of some foreigners. At first glance, the workers’ clothes seemed disheveled, but when I looked closer, it was clear they had fastidious German cleanliness—that is to say, their wives or daughters had done an excellent job of washing them and patching them back together. They finished the electrical repairs. I could see from the window that the snow was still coming down outside. When I offered them a fur rug, they sat down without protest and faced the heater. Unfortunately our maid caught a cold two or three days earlier and had taken off work. My husband the whole time was in the far room, completely absorbed in cartoons he was working on to send to Japanese newspapers. I made tea on my own and offered it to them. “I’ll get you some cigarettes, Japanese cigarettes,” I said and started to get up to get some Shikijima cigarettes from my husband. “Do you sing songs in Japan, miss?” the old man asked in such a gentle way. Ah, of course, I thought to myself, and then, with a renewed focus, I sang for them in an unadorned tone: Sakura, sakura, across the spring sky, as far as the eye can see. Is it mist or clouds? Fragrant in the air. Come now, come now, let’s go and see them*. The young man who had been silent to that point stopped and turned to me with a look of pleading in his eyes. I peeled off several stamps from the envelopes of letters dear to me that had arrived from home and placed them into the palm of his poor hand, gnarled and rough from an intense life of labor. This is such a well constructed short. 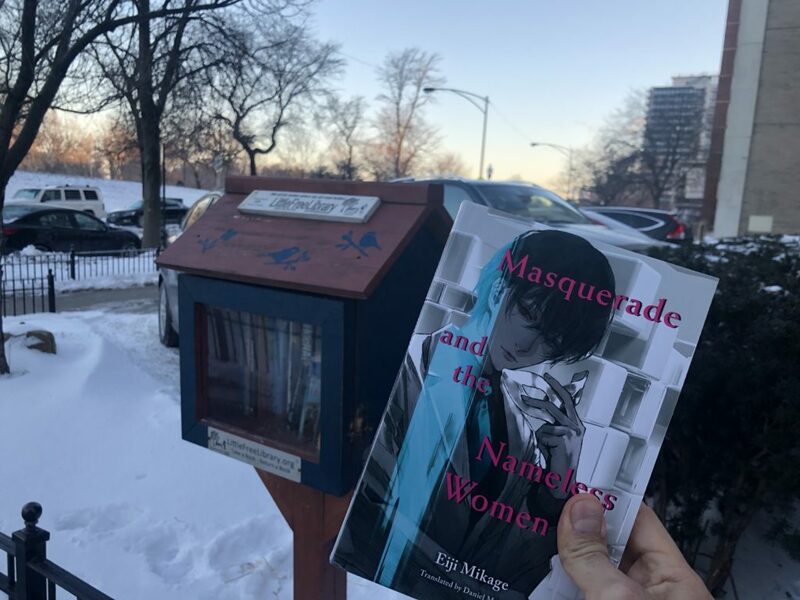 It starts and ends with vivid images—the quiet of snow-covered streets, filling the stove, the chimney piercing the ceiling (which must’ve been so striking for Japanese at the time), peeling off stamps from letters, and the final zoom into the worker’s palm. Okamoto is a strangely intertwined figure. 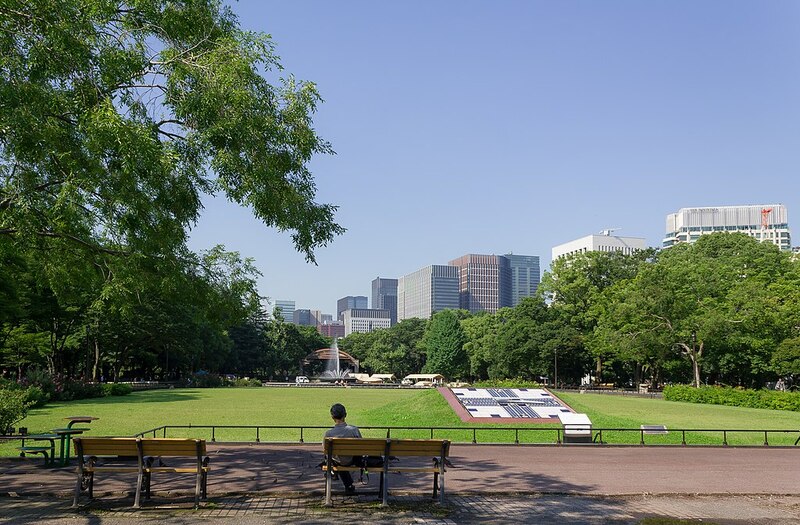 Her brother studied with Junichiro Tanizaki, she was close with Yosano Akiko, she married a famous cartoonist, and her son was Tarō Okamoto, a famous artist known for the Tower of the Sun. Sadly she died at 49 of a brain hemorrhage and most of her works were published posthumously. 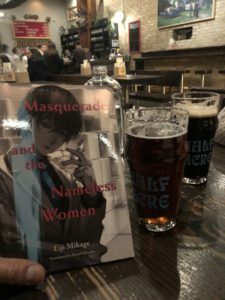 Check out the other readings for our reading group here, and feel free to contact me about joining us (we meet online via Google Hangouts) the second Tuesday of each month at 6:30 CST.